What would you give to turn “someday” into “today”: to live a life full of passion, joy, and adventure? There is SO much power in taking action. Why then, are so many people leaving their passion untouched—their ideas and dreams forever trapped in imagination? Is it fear of failure, fear of not being enough, fear of the unknown, or something else? How many times have you heard (or said) “Someday”? “Someday I will….” “When I have enough _______, someday…” Fill in the blank with “time,” “money,” “energy,” or any other myriad of excuses. As many have come to realize, someday very rarely appears on its own. Many sacrifice happiness and health for money or status while continuing on the hamster wheel of life. Eventually, the realization hits that no amount of money is worth health and happiness. Ask anyone with a debilitating illness what they would give to be healthy. Even better—ask someone in their 80’s or 90’s who is full of life, joy, and love what they did to have such a full life. Now, imagine yourself as 80 or 90 and being completely fulfilled. What would that look and feel like? What would it take for you to turn “someday” into “today”? It takes action—your action. It takes a small step in the direction of your dream. A step is not a thought, a wish, or a hope. A step is a deliberate action that brings you closer to what you want. 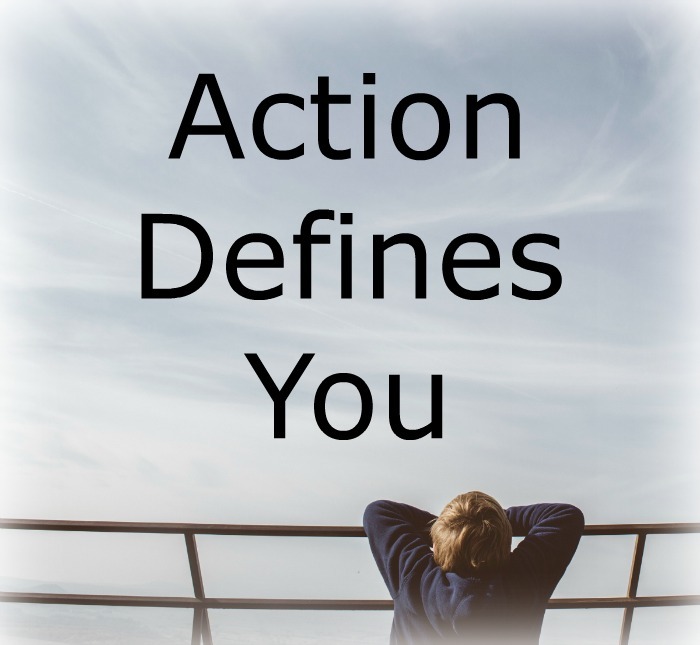 Action defines you. Action propels you forward. Small steps produce huge rewards. Your actions will build momentum. Your goals will begin to come to fruition faster and faster. Keeping that momentum going will become easier and easier. You may be amazed how things begin to fall into place after taking those first few deliberate actions. You may be wondering “How do I begin?” Commit to revealing the person you truly are deep down and be that in your thoughts, words, and actions. Thoughts: You are the only one privileged enough to listen to your thoughts. Be your own friend! Clear your mind and learn to write the best possible script for your life. Words: You share your thoughts and desires with the world through your words—be authentic, joyful, and share the best of you. Actions: You show yourself and the world who you are with your actions. Actions speak much louder than words. Take proactive action. Do this every day. Lacing together your thoughts, words, AND actions is a hugely worthwhile achievement. This is an enormous stepping stone for massive change. The vital element here is action. Once your thoughts and words align with your dreams, implement your actions and witness your amazing future emerge. Create a compelling picture of your future. This vision will pull you forward. Identify something specific that you want and identify a small step you can take right now to move in the direction of achieving it. 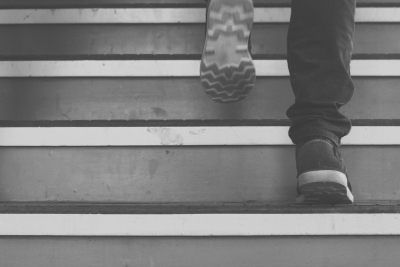 Take the first step and commit to continuous forward momentum—small steps each day. Plan. Make a plan—daily, weekly, and monthly. Begin with a daily plan: each day, list small steps that lead you toward your big goals. This may be a simple list, reminders on your phone, or a fancy app. Stay focused. Have fun, keep on track, take your steps, and keep your eye on the prize. Say NO to distractions. Prioritize and make the best use of your resources. Continue! Identify. Take ACTION! Create momentum. Repeat. The actions you commit to now will define your future. Your life is priceless and time cannot be turned back. What if, today, you committed to defining your future on your own terms? Imagine how different your life and the lives of all those around you would be if you removed “someday” from your thoughts and words and committed to taking action today. Define yourself and be the inspiration you were born to be. Great read Kristy! I thought of so many books while reading this. One of my personal favorites….The Slight Edge by Jeff Olson. It’s the little actions that add up. And I am presently in the middle of Switch on your Brain by Dr. Caroline Leaf. Awesome read on what we think and how it affects us physically and emotionally. So powerful!! I love that you are reaching out to help others. So glad you enjoyed it, Elizabeth! Thanks for mentioning the books- sounds like two great reads that many people will be interested in… and I just realized Dr. Leaf is who you met in person a few weeks ago. Cool!